Father Joe’s Villages supports your efforts to organize a donation drive to collect cash, clothes, furniture or other items. 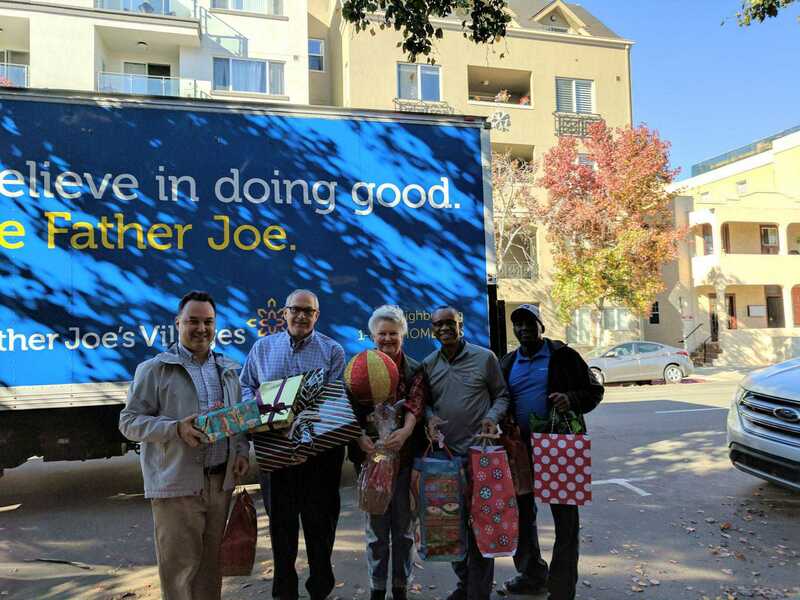 Every donation benefits the programs and services Father Joe’s Villages provides to people experiencing homelessness in San Diego. Father Joe’s Villages clients and programs have a whole range of needs that can be supported by donation drives. Because there are also items that we can’t use due to laws, efficiency and/or overabundance, we recommend that you stick to new or lightly-used items on our Village Program Needs list. Items listed have been explicitly requested by our incredible program staff. If you don’t want to worry about having to collect certain types of new or lightly-used items, you can hold general household goods and clothing drives. All of the items collected will be sold in our stores and auctions, which will generate funding for our programs. These donations are equally important and can make all the difference to neighbors in need. If you’re arranging a donation drive for a certain program, please fill out this form and return it to corporategiving@neighbor.org so we can coordinate with program staff and arrange a drop-off/pick-up. If you’re collecting general items to raise money through our stores & auctions, there are a couple of ways in which you can get the items to Father Joe’s Villages. If you’re donating general household goods so that we can sell them in our stores & auctions to raise money for our programs, collect your items and then call 1-800-HOMELESS or click here to fill out an online form to schedule a time for the items to be picked up..
Or, if you would like to drop off the goods yourself, you can deliver them to any of our retail locations. Work together with your community to collect items for your donation drive. You can organize it through your church, your school club, your group of friends, your family or any organization of choice. Arrange an easy drop-off point—maybe an empty barrel in your classroom, a big cardboard box in your church or a temporary collection location. Let people know how long you’ll be collecting, what items you want to collect and why this matters to you. People will be dropping off items in no time! However you decide to give back, we appreciate your time and effort. Together, we can end homelessness in San Diego.